Drywall Repair Pittsboro Siler City Chapel Hill NC - FREE ESTIMATES. 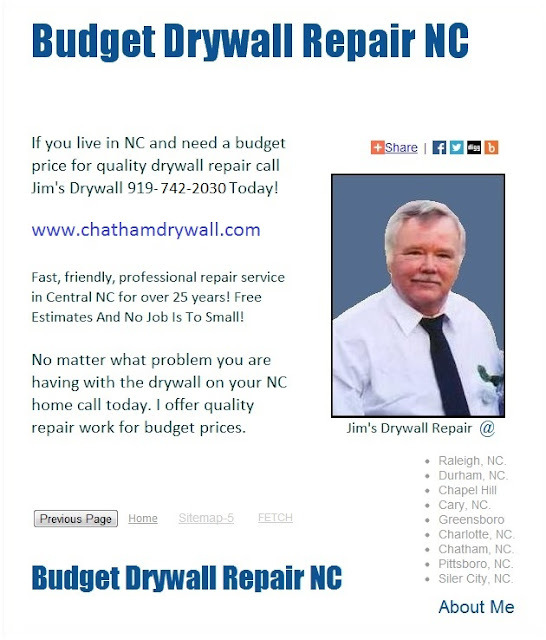 Live in Pittsboro, Siler City or Chapel Hill, NC and need a free drywall repair estimate. Call today for quality wall, ceiling andr texture repair work. No matter what problem you are having with your drywall it can look like new again. Drywall Repair Pittsboro Siler City Chapel Hill NC | FREE ESTIMATES. Live in Pittsboro, Siler City or Chapel Hill and need drywall repair. Call today for local wall, ceiling or texture repairs.